Confession: this is the cheater’s version of croissants. Meaning the dough is pre-made, BUT the amount of time and effort plus convenience factor, plus taste equals to a pretty satisfying recipe. So, it’s all about math really. 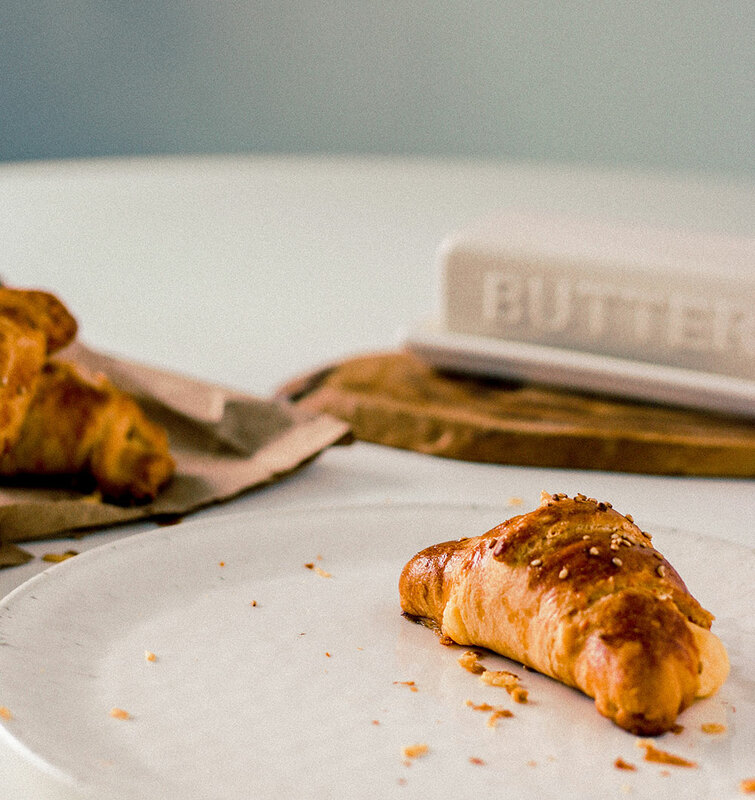 Even the best of us don’t feel like making croissants from scratch at times. And the best of us is probably better at cooking stews than baking and making dough. But that doesn’t mean you can’t pretend to be Parisian and have a homemade croissant with your coffee in the morning. Solution? 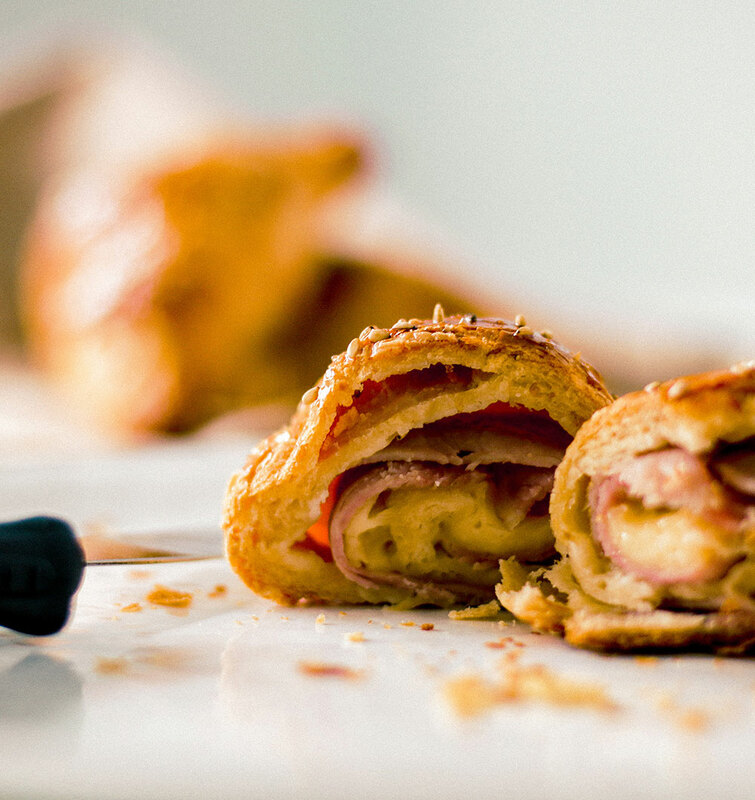 This quick and simple recipe for savoury ham and cheese croissants. P.S., since this recipe is so simple, the key is good quality cheese and ham. 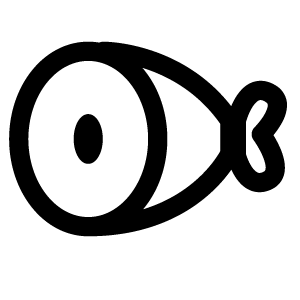 Click on ingredients with * for more info. 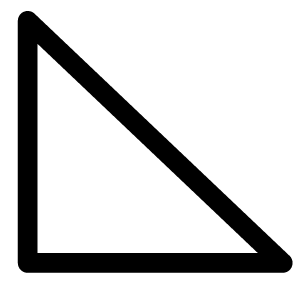 Preheat oven to 375°F (190°C) to prepare the oven for baking. 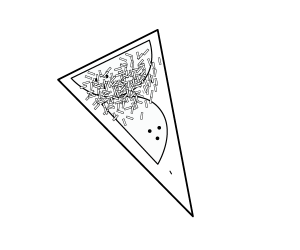 Unroll dough to individual triangles. Unroll the dough to individual triangles. 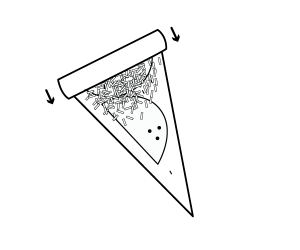 The triangles should be long, like a pizza shape. If they looked a little deformed you can reshape it and mold it a little. Brush mustard all across the base of the triangle with a pastry brush. Lay ham out flat over the mustard. This is kind of like a tetris – you can cut the pieces so that it fits within the triangle. Be sure not to lay too much on so that it doesn’t overfill and get messy when you are rolling them up. Sprinkle about 1-2 tbsp. 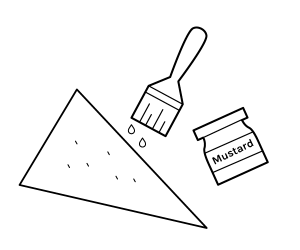 grated cheese on the top wider part of the triangle. Again, try not to sprinkle too much and overfill. Roll and curve ends down. Starting from the wide end, roll the triangle down towards the pointy end, encasing all of the filling inside, making sure nothing falls out or apart. Once you get to the end, press the pointy end down to seal. To get the curved down croissant shape, take the two ends and curve downward to mold into a horn shape. Repeat making the croissants and get in the zone. Once all the croissants are made, line them up 2″ apart on a baking tray lined with parchment paper. 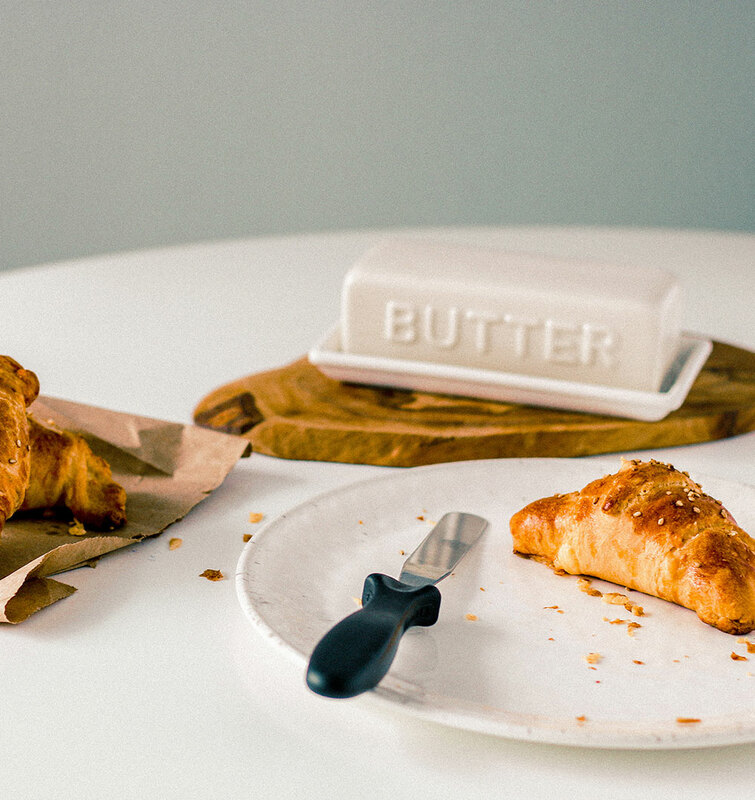 Make an egg wash by beating one egg in a small bowl and use a pastry brush to brush a thin layer of the egg wash onto the entire surface of each croissant. Bake in oven for 10-15 minutes, or until the dough is cooked through and the outside is golden brown. Congrats! You just made ham and cheese croissants.